Mocked these up with a friend. We preferred "Yellowstone High School", but looking at the regulations it technically interferes with a "local school", West Yellowstone. So to keep the theme, we switched the School name to Lewis & Clark High School. Either the Expeditioners or the Scouts. Explorers was another option. Colors are the colors of the famous Pendleton Yellowstone Blanket. 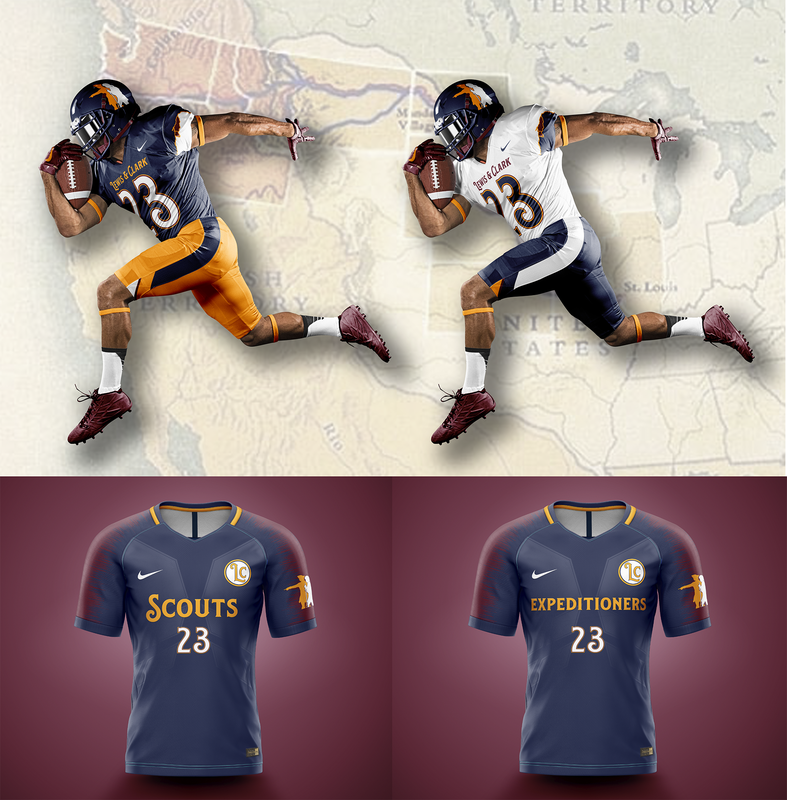 Predominantly blue and gold as a shoutout to the Cats, with some maroon for statewide peace The logo is the Lewis & Clark trail image, and the sleeve stripe detail is actually the route of Lewis & Clark's expedition. That's pretty sweet. I don't think it will be Lewis and Clark-too confusing with Lewis and Clark County-Helena. Maybe it should be just Clark. After-all on their return to St. Louis in 1806 Lewis and Clark split up. It was William Clark and his team that passed through the Gallatin Valley-probably not too far from where the new high school is being built. A lot people think it should be Bridger High School, not realizing that there is already a Bridger High School in Montana. As far as nicknames-I hope they come up with something unique. The Gallatin Valley has some pretty boring high school nicknames-Hawks, Panthers, Tigers, Wolves, Eagles-nothing too imaginative there. But to work-I think at most a nickname should only have two syllables. One syllable is better. I like the suggested nicknames above. Apparently, it's OK for Montanans to move out of state without judgment, but god forbid anyone from out-of-state moves to Montana looking for a different/better life. Especially if they're from California. Pretty common sentiment I hear all the time, here in Idaho as well. Personally, the whole thought disgusts me. Way to make people who are giving up a whole entire lifestyle to move to a new and probably kind of scary place feel REALLY welcome in their new home. And you wonder why they don't always want to assimilate immediately. It's weird, I don't get the same reaction when I tell people that I'm not from Idaho, but grew up in Montana. It's kind of like, "oh, well if you're from Montana, it's okay - just as long as you're not another damn Californian." I moved here just the same as someone from anywhere else, what does it matter where my parents raised me? We lament the way home prices increase and traffic gets worse, but don't have any complaints when we sell our houses for huge profits and have more restaurants and things to do that the increased population brings with it. I welcome people who move to my home area, because I appreciate the variety and diversity they bring to a very homogenized area, and because it is recognition that I live in a pretty darn cool place. Why WOULDN'T people want to move here? Rant aside, I agree that the mascots in the greater Bozeman area leave a lot to be desired. But you gotta come up with something cool and intimidating. Cutthroats are cool and all, but fish don't generally inspire fear. A lot probably depends on what the name of the school ends up being, as it's often a play on the school name (same first letter, etc.). Obviously, Grizzlies is out, but the general idea of something along those lines is pretty cool. Maybe they should re-name the old high school Gallatin High and the new school something else...Valley High (doesn't every metro area have a Valley High?). As far as mascots: How about the Skiers? Or Anglers. I love Anglers. You could probably get a sweet fly logo. How about the Ridge High Runners? I kinda like that one. I really like Pronghorns as a nickname too. 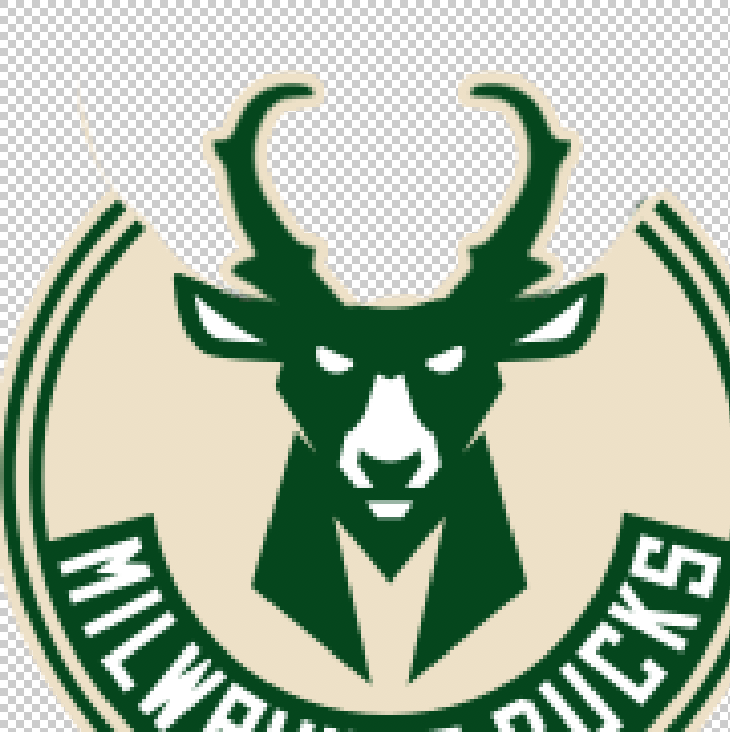 It is unique, pertinent to the area, and you could do some cool logos with it, or even rip off the Rams throwbacks, but use Pronghorn horns instead of Rams horns on the helmet. Dragon Slayers. When I think of a dragon slayer I think of Bozeman. Call it what the picture suggests: Future Bozeman High School; mascots George, Jane, Judy, Elroy, and Astro Jetson; colors sky blue and stainless steel. 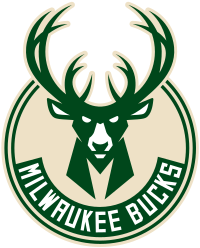 Colors are derived from the mascot, which is derived from the name of the school. Is anybody in charge there? The cart is in front of the horse. Once the name is chosen, the new high school’s mascot and colors will be chosen. The final contenders are Bozeman Spanish Peaks High School, Bozeman Storm Castle High School and Bozeman Westslope High School. Okay, what is the storm castle name about?